After falling pregnant with our first child in 2012 I soon realized that pregnancy and birth are two of the biggest transitional life events that a family will experience. The experience of which is long lasting and far-reaching. Pregnancy, childbirth and parenthood each offer a gloriously unique opportunity for profound transformation. 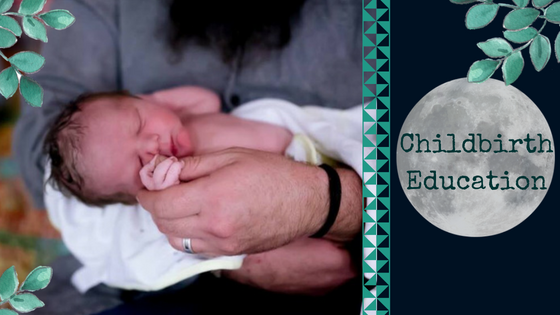 I am extraordinarily passionate about offering support to the women, men and families of Adelaide through my doula work and as a ‘Beer + Bubs – Childbirth Education For Men At The Pub’ presenter. I feel that far too often men are disregarded, ill-prepared or feel out of their depth in the birth space. But I also knows just how much of a positive impact they can have on the collective birth experience given adequate preparation. I am so passionate about sharing some tools, tips and tricks that can help enable men to confidently support their partners during their amazing adventure into parenthood – whether that’s for the first or seventh time. 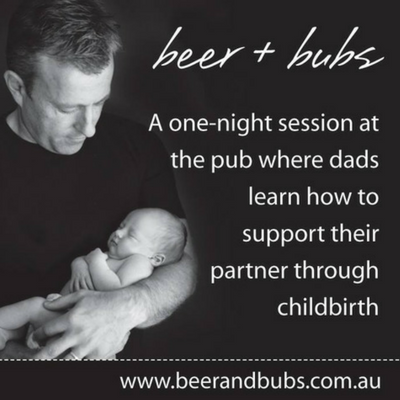 “Beer + Bubs is a one-night session at the pub where dads can learn techniques on how to support their partner through the birth of their baby. This workshop is designed to help blokes gain the practical knowledge they need to be involved in the births of their children in a positive and useful way. What should you never say to a woman in labour? How can a bloke actively help with pain relief? What can be done to make the birth faster and easier? Why is the first hour after the birth so important to your baby? Why is it a bad idea to be texting your mother while your partner is in labour? All this and more is covered in a fast-paced session where the atmosphere is informal and conversational. Hear from a dad who’s just been through the gates of fatherhood and learn the kind of things that are not covered in the usual antenatal classes.